Jillian Michaels is the fitness training guru who was featured for many seasons on The Biggest Loser TV show. 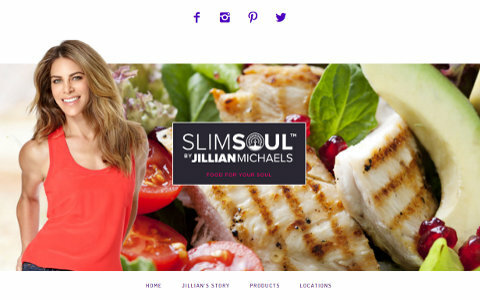 Slimsoul is her new venture into providing healthy and tasty food. This site was a team effort, and my role was to put the finishing touches on the CSS styling, in particular for making the site look good on tablet and phone screens. I also worked on her pre-launch landing page, re-organizing and improving its original code as well as improving its performance on small devices.